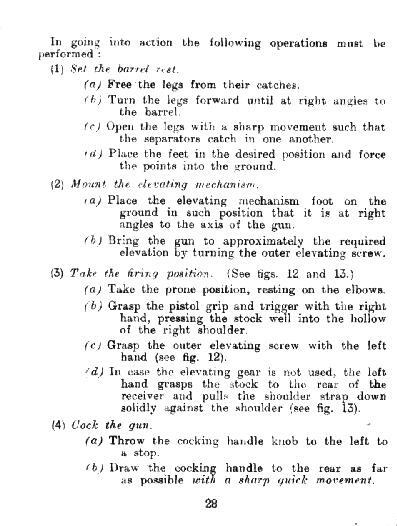 The following weeks will see the various pages from the Hotchkiss Portable Machine Gun Handbook, the official manual issued by the company for the use of troops in the field. The Hotchkiss Gun was introduced in the Light Horse formations during the early months of 1917. The introduction of this robust and portable gun gave the Light Horse Regiments additional mobile fire power which considereably added to their ability to sustain light combat situations and defend against vastly numerically superior forces. Apart from being an excellent weapon, it was in much demand by the Turkish forces who considered the capture of a Hotchkiss Gun well worth any risks involved in the process. This is a manual produced in 1917 and illustrates the method by which the Hotchkiss Gun was packed and moved throughout the Palestine campaign.